Are you looking for a fun activity do with the kids? 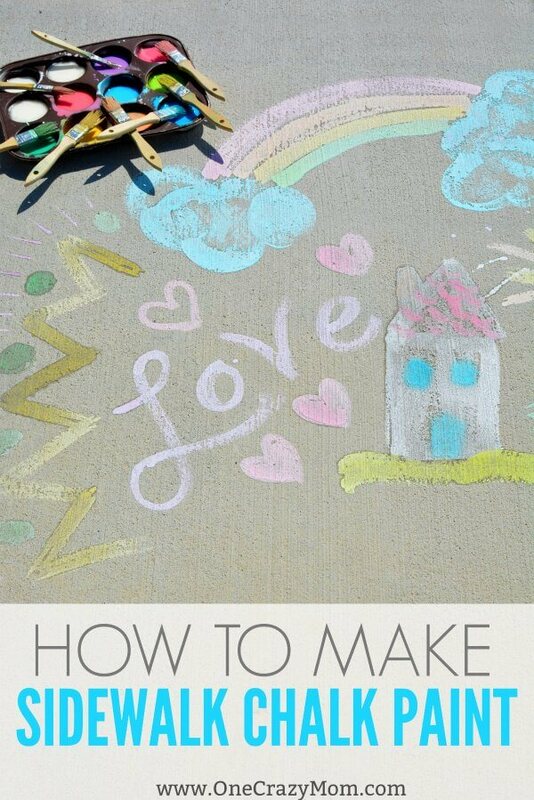 Try making Sidewalk Chalk Paint! It’s easy and inexpensive to make. Plus, it will keep them entertained for hours! It’s the perfect activity for Summer! This is such a fun activity. 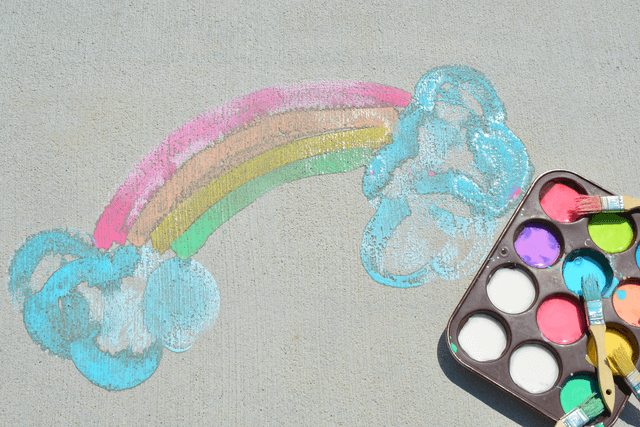 Homemade sidewalk chalk paint is one of our favorite summer activities. The kids love when I tell them it’s time to get out the sidewalk chalk paint! I love seeing their imagination run wild. Each child has a blast making fun creations and art work with chalk paint. It’s great to have an activity that is inexpensive to do and keeps everyone happy. We make a Summer fun list every year and this is always on the top of our list! You can get a free Summer fun list printable here. The kids put all sorts of things on this list. Fun activities like going to the pool and library to crafts such as DIY Bouncy Balls and Adorable Seashell Crafts for Kids. I’ve learned that if we aren’t intentional about our Summer, it will go by quickly and nothing will be accomplished. It’s a lot of fun to make the list and even more fun to do a special activity every day or so. Sometimes just a trip for ice cream is what the kids want to do. It doesn’t have to be big and expensive! 1. 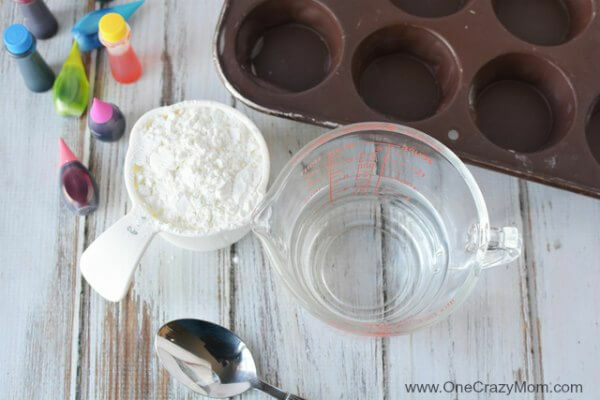 Add 1 cup water to a measuring cup. 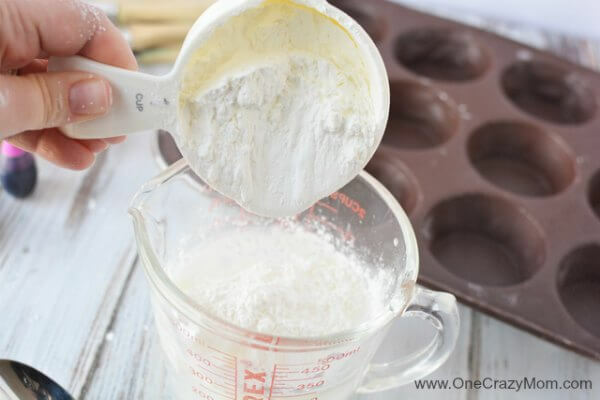 Add 1 cup cornstarch. Mix well. The mixture will seem really hard at first, keep mixing. It will become smooth and liquid. 2. 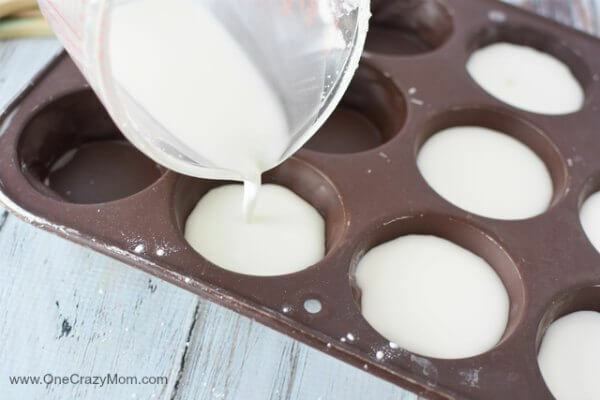 Pour into a 12 cup muffin tin. Note: To fill a tin, you’ll need to double this recipe. 3. 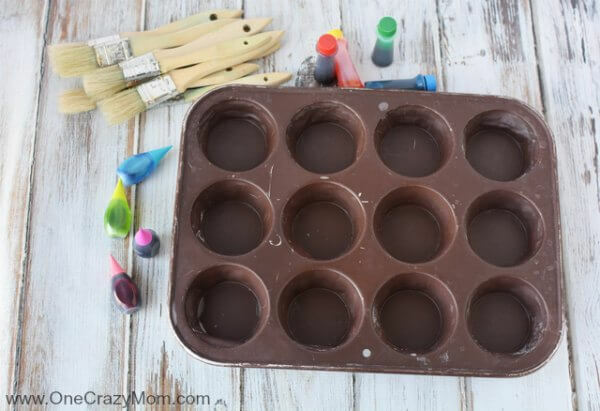 Add food coloring to each tin cavity and mix well with a paint brush or toothpick. 4. Take outside and paint! 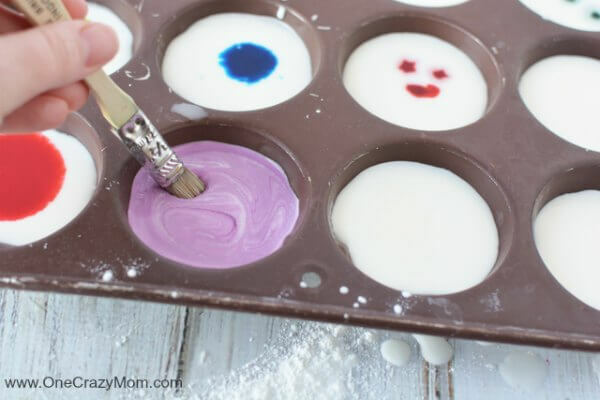 You’ll want to mix each color a little bit with the paint brush before painting to keep the cornstarch mixed with the water. No worries because this paint will wash off with a hose or rain. We use utility paint brushes. They are pretty cheap and under a $1 at the local hardware store. 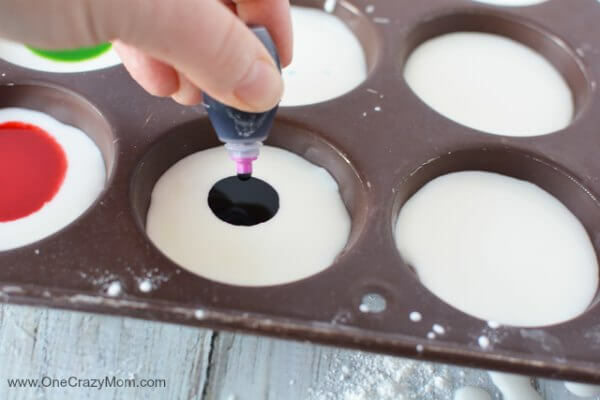 I use an old muffin tin for the paint or you can grab a cheap one at the dollar store. These are perfect for taking outside and you don’t have to worry if they get messed up. Just grab a couple the next time you are at the dollar store. 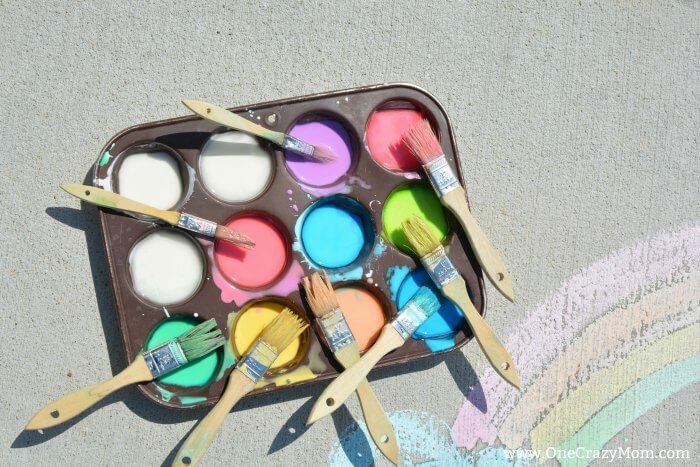 No worries about messes because this is washable sidewalk paint! 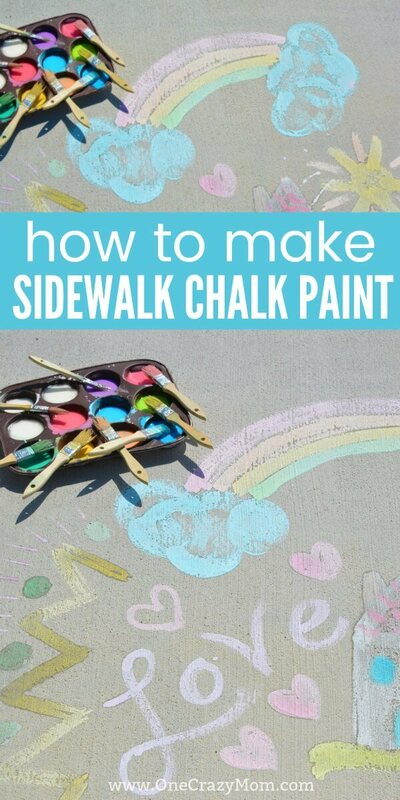 Sidewalk paint DIY is so simple to do! It’s amazing what a little food coloring can do! 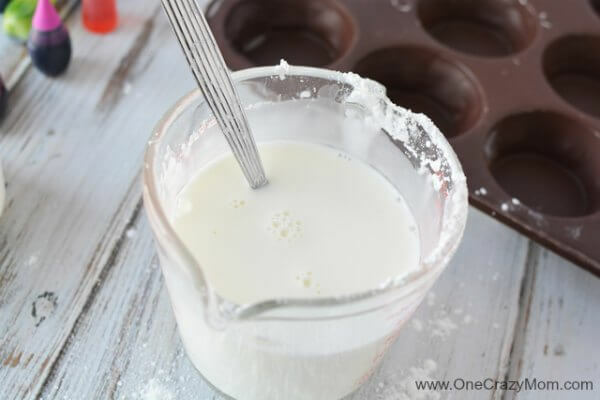 This chalk paint recipe works great and kid’s are thrilled to do a fun summer craft. I love seeing all the kids art work! It works great and they get really creative. 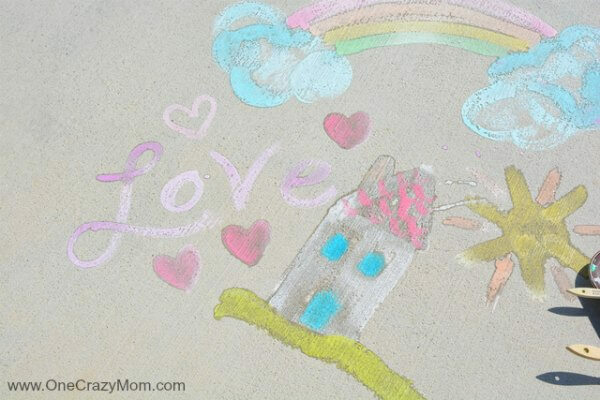 I love this kind of kids paint because it is super easy and washable. We love arts crafts and more! 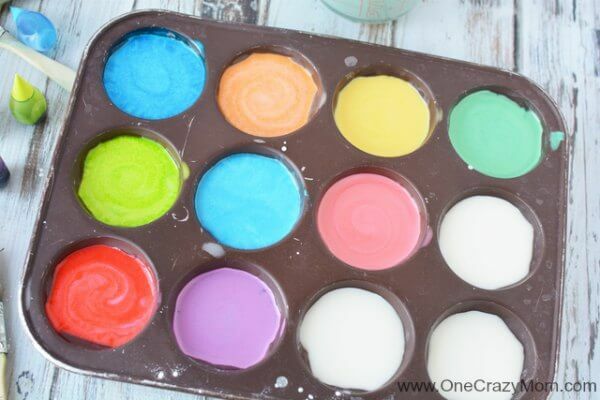 Try this summer craft and make DIY Sidewalk chalk. Grab some paint brushes and have a blast! 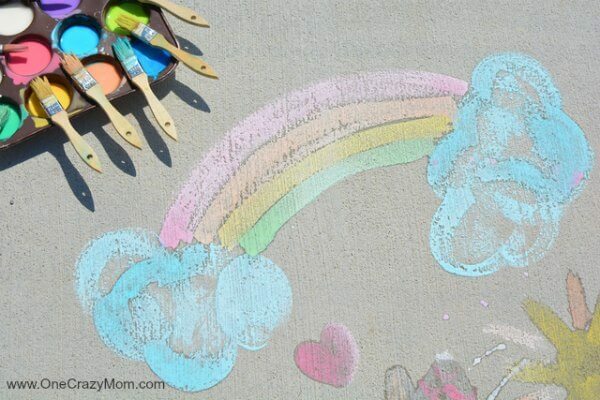 Another fun idea is sidewalk chalk spray paint! Just put in a spray bottle. The kids will have a blast making designs. We also like to use stencils to create designs. The kids have fun making flowers, animals and cool art work. It’s also fun to use a combination of tools. Set out a basket of paint brushes, spray bottles and stencils and let the kids just pick and choose what they want. It’s so much fun! I’m always amazed at how creative their little minds can be. 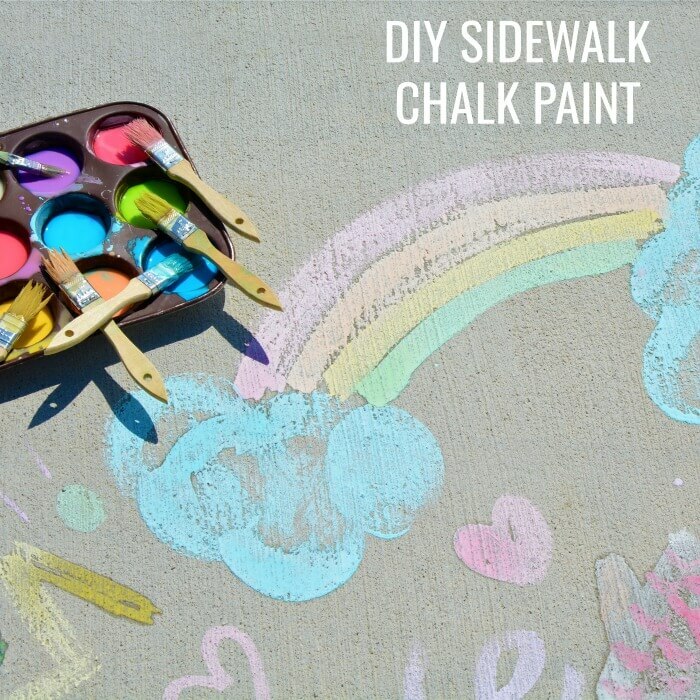 DIY sidewalk chalk paint is so fun! Even Mom will love this fun activity! Get creative and design a fun picture with your kids. They will love playing with you and the memories made from this fun time will be priceless. You don’t have to go to elaborate places or spend tons of money for a sun Summer! Kid’s are so easily pleased and sometimes us adults overthink things. 🙂 So grab some chalk paint and see what designs you and your kids can create. They are going to love this activity and think you are the best! Let’s get Summer started with this fun activity!